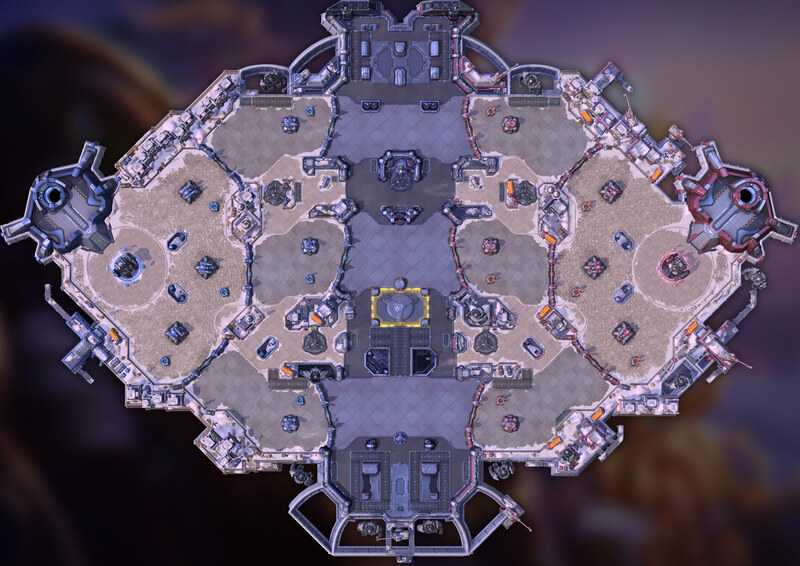 Forces from around the Nexus converge on Volskaya Foundry. Commandeer the facility’s giant mechs and assault the enemy’s defenses! Capture Points Hold the Capture Point until it reached 100% to gain a Triglav Protector. Spawns at: 00:02:20 Respawns 00:02:50 after the active Triglav Protector has been destroyed. Triglav Protector The Triglav Protector is controlled by 2 Heroes. Assault Trooper Camp Assault Troopers (Siege) spawns. Spawns at: 00:01:00 Respawns 00:01:45 after the Camp has been captured. Fortification Camp Fortification (drops a Turret) spawns. Support Camp Support (drops a Healing Pulse) Spawns. Founder and Leader of Volskaya Industries.